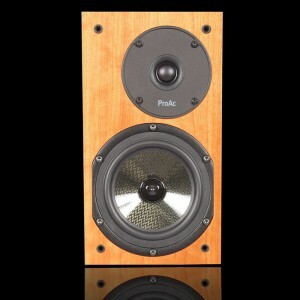 A loudspeaker classic, the current incarnation of ProAcâ€™s most famous loudspeaker is a real charmer. Such a big voice for something so petite. The Anniversary is gorgeous and the build quality is exquisite. Our demo pair are finished in the optional ebony wood and they look so luxurious. The new cabinet design and the development of the Kevlar driver have really extended the musical envelope of the Tablette.